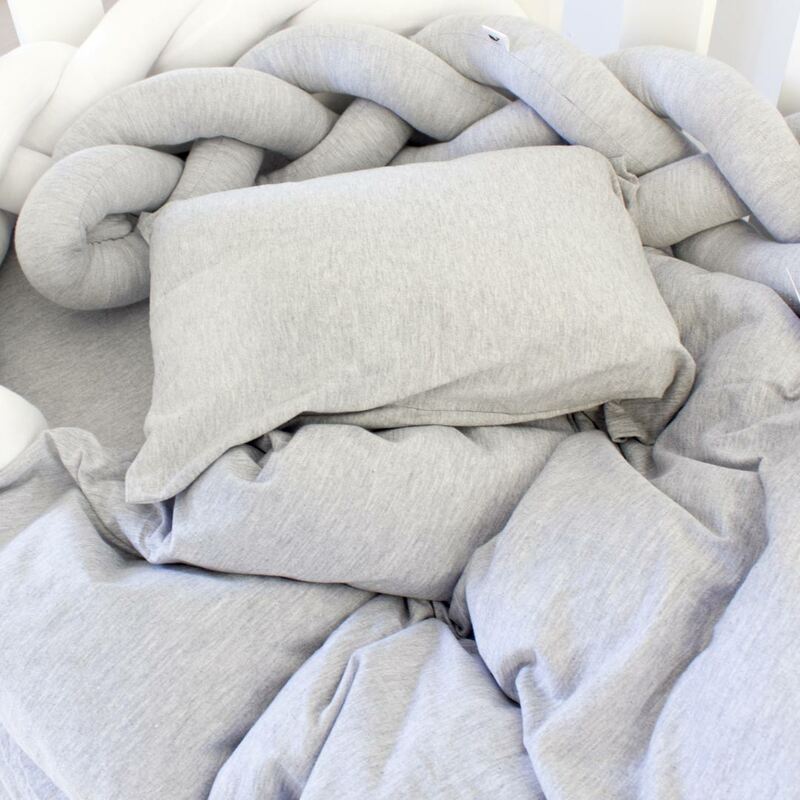 Made from 100% Cotton, the T-Shirt Cot Fitted Sheet – Soft Grey is cool in summer and warm in winter and best of all, never needs to be ironed. With a real-feel equal to 800 thread-count, our customers report sleeping deeper and longer than ever before. As our linen is 100% non-iron, it never looks creased… even after a night of sleep! Available in three gorgeous colours, from dramatic deep charcoal to crisp Scandinavian white, T-Shirt bedding adds instant throw-together cool to any living space. One pillowcase included in every cot duvet set.